A few weeks back, J and I were invited to try out the "Thursday night live brunch" at Mistral, we've previously dined at Mistral and love their theme nights. The restaurant boasts of a very wide selection of salad's, not your basic salad's tossed together but mixes of apple jelly, pureed pumpkin and a sushi counter. One thing we've enjoyed most about dining at Mistral is that besides the selection of rice and curries, all the food is grilled infront of you so it's all very fresh and healthy too, reminds of The Collective. The selection of seafood and meat is quite extensive covering lamb, chicken, prawns, mussels, etc. We ended our meal at the dessert section which covered a variety of ice-creams and churros and even freshly made pizza's. I've always loved the Movenpick ice-cream especially their sorbet's, we loved their sherry trifle as well which was quite unique and outstanding in my opinion. Here's some more to tease you! If you want to know more about offers at Movenpick IBN Battuta Hotel. 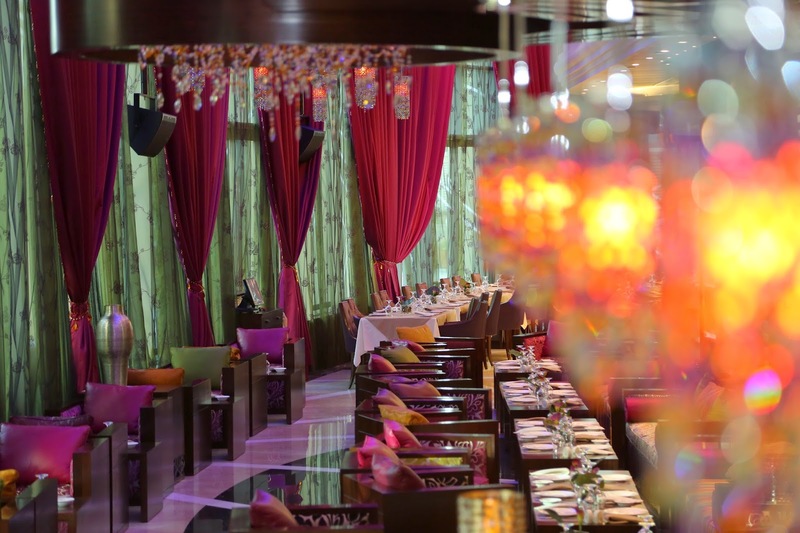 click here or if you want to know about our dining experience's in Movenpick IBN Battuta hotel click here. Dinner at Kris with a view, a fantastic view!